LOCATION-LOCATION-LOCATION, Bay Area's best commuter location! Minutes to Berkeley, San Francisco, Oakland and walking distance to BART. 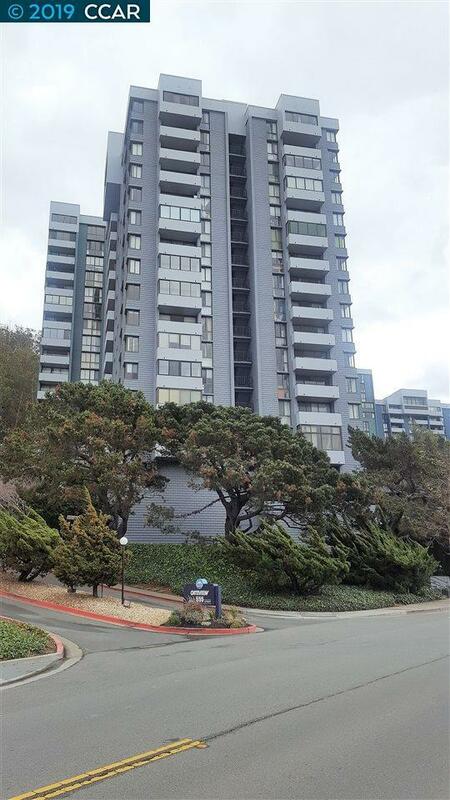 "SPECTACULAR BAYVIEWS" from this large 1bd/1ba condo with 745 sqft of living space. Amenities include garage parking, heated swimming pool, tennis courts, ping pong room, gym, sauna, hot tub and a club house for private gatherings. This is a 24 hour security building with elevator access! Conveniently located just one block from Ranch 99 Market & Restaurants, UC Berkeley campus, walking trails and El Cerrito Plaza. Please check in with security desk next to garage entrance for showing's!